Click on the button to register your team . . . 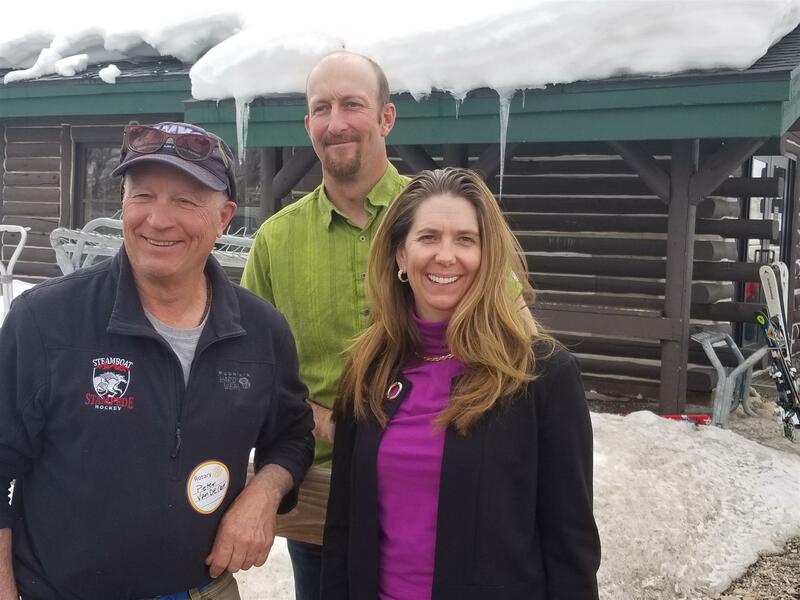 The Rotary Club of Steamboat Springs honored three people Tuesday who have given their time and talents to make a difference in the Steamboat Springs community. Click on the photo to see the article in the Steamboat Pilot & Today from April 2. Thank you to John Weibel and Winnie DelliQuadri for greeting our members and guests on Tuesday. We had a great turnout with over 74 in attendance, including 9 guests and 2 visiting Rotarians. John also provided out thought for the day, sharing some thought provoking quotes, thank you John. Gillian Morris did her Steamboat Minute, sharing a glimpse of her busy life between her business, family life and as we know, her many volunteers hours she puts in. Ian Engle, Chair of the RYLA committee, announced that RYLA applications are being accepted through the end of the month. Scott Marr then presented Paul Harris Awards to several of our members. Melissa Gibson and Dr. Brad Meeks became new Paul Harris fellows, Jim Moylan, Dan Bonner and Geneva Taylor received their Paul Harris plus two recognitions, Angela Catterson and John Centner received Paul Harris plus three awards, Steve Hitchcock received Paul Harris Fellow plus four, meaning that he has contributed at least $5000 to the Rotary Foundation. Steve also provided insight on how important giving to the Foundation is for him and how it is a way for all of us to help out internationally. Thank you all for your continued support for what Rotary does around the world. Our program was presented by Kent Vertress, President of Friends of the Yampa River. His education and professional and recreational background is in the river system. He provided us with very interesting talk on our own Yampa river, its history and current status. It was a great opportunity to learn more about our region here in Routt County and from one of our valued community members. Andy Booker hosted Good News and not without a few puns, jokes and comments along the way. Thank you Andy for keeping us entertained. Next Week – OLMPIAN HALL – don’t forget! We will hear from Lynette Weaver about her Healing Friends. 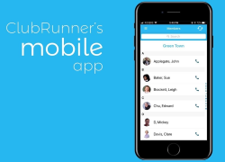 The ClubRunner Mobile app allows you to access Club and Member information on your phone ! Click here to view an informational video. Download to your phone via iTunes or the PlayStore. Consider joining our club. We'd love to have you as a member! You can start the process by joining us for lunch at our regular Tuesday meeting, as our guest.